Home Art Works Travel 12 Of The Most Unusual Restaurants You Must Visit! The world is a pretty bizarre place full of weird stuff. From fascinating creatures to splendid architecture and amazing routes…there are so many places to explore! The trick is to be unique, and it seems as if even the hotel business has adopted the same philosophy. With the many innovative and unconventional restaurants popping up everywhere, hotels are no longer just places where you get good food it now aims at offering customers something different and entertaining. Tired of the formal and sophisticated restaurants in your city? Check out the top 12 unusual restaurants around the world that you must visit! Other than the fact that you get excellent Japanese cuisines here, this place is even famous for its waiters. They’re not handsome or super cute men; in fact they’re not human! It is run by robots; no this not a science fiction movie or a visit to the future where the earth is taken over by robots. 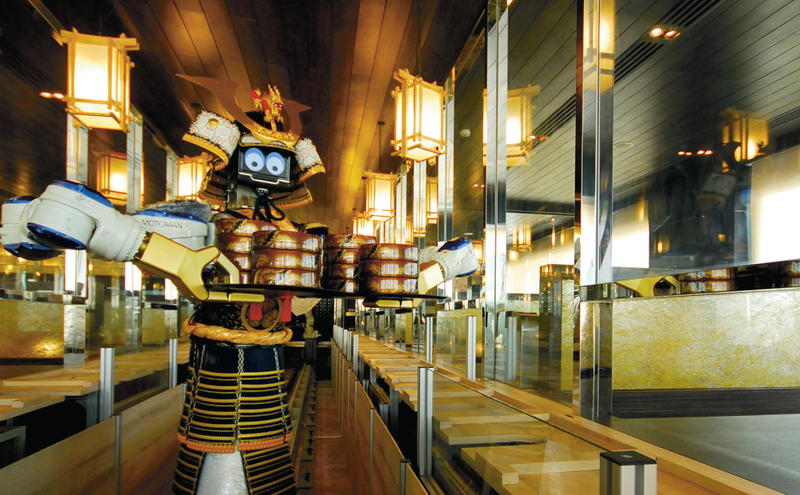 This is the Hajime restaurant in Bangkok where robots not only provide top quality services but great entertainment value as well. The restaurant owner Lapassarad Thanaphant has invested more than a million dollars in the four dancing robots that serve the diners gracefully. 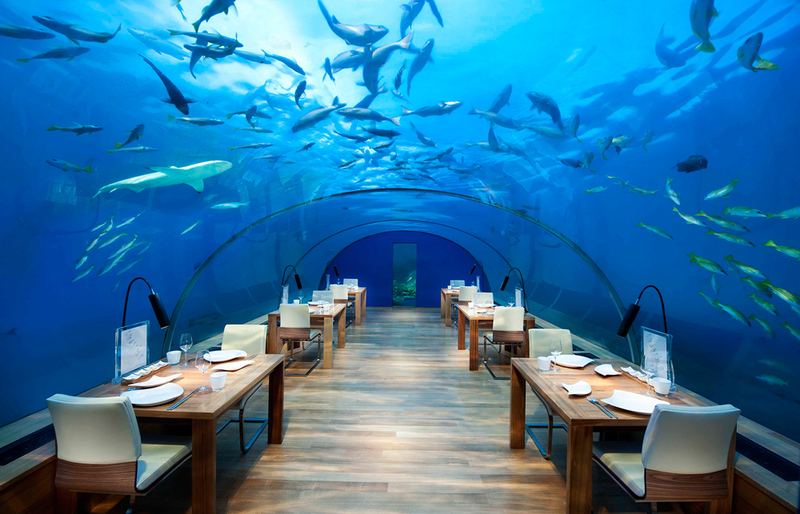 Imagine dining underwater, surrounded by fishes and other sea creatures…sounds like a fairy tale right? The Ithaa restaurant is an underworld paradise and is rated among the most beautiful restaurants in the world and rightfully so! Situated five meters under the sea, it offers the diners a 180 degree panoramic view of bright and beautiful corals. You can enjoy a delicious six course European meal with your friends and family while watching the soothing water ripples and fishes swimming all around you. The plush and luxurious interiors add on to the charm. And it is absolutely safe; the place is firmly fixed and sturdy enough to prevent toppling over. If you’re ever at Maldives this is one place you cannot afford to miss! With the temperatures soaring, an all ice restaurant seems like a welcome change. The Snow Restaurant at Finland seems to be something straight out of Frozen, so much so that you almost expect Olaf to pop up dreaming about summer! Everywhere you look you’ll find beautiful ice crystals and icicles. It usually opens towards the end of January where customers can enjoy delicious lunches and dinners at temperatures -5 degree Celsius or less. Don’t worry though, rebuilt every year, this restaurant works on the principle of an igloo, and is considerably warm on the inside. Italy is known for its amazing architecture and heritage, with beautiful buildings everywhere you look. And the next place on our list adds on to the charms of Italy! 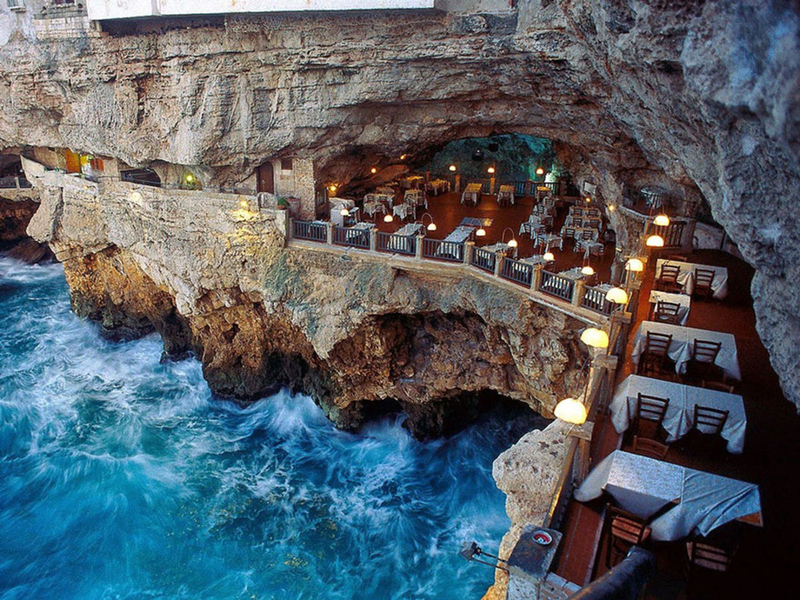 Situated at southern Italy in the town of Polignano a Mare is a splendid dinning place inside a limestone cave! Yes the customers get a once in a lifetime opportunity to dine surrounded by lime crystals and a natural rocky roof while looking out at the sea. This sea facing restaurant is open only during summer and serves the most exotic Italian dishes. This restaurant at Taipei Taiwan offers dinners a very unconventional environment, very different from the usual dining spaces you’re used to. Imagine sitting on a commode eating your food served in commode shaped bowls and plates? Sounds a bit gross and disturbing, right? Well this place at Taiwan has taken the dining experience to a whole new level! Very true to its name Modern Toilet is a bathroom themed restaurant. If you’re into “toilet” humour then this is just the place for you! 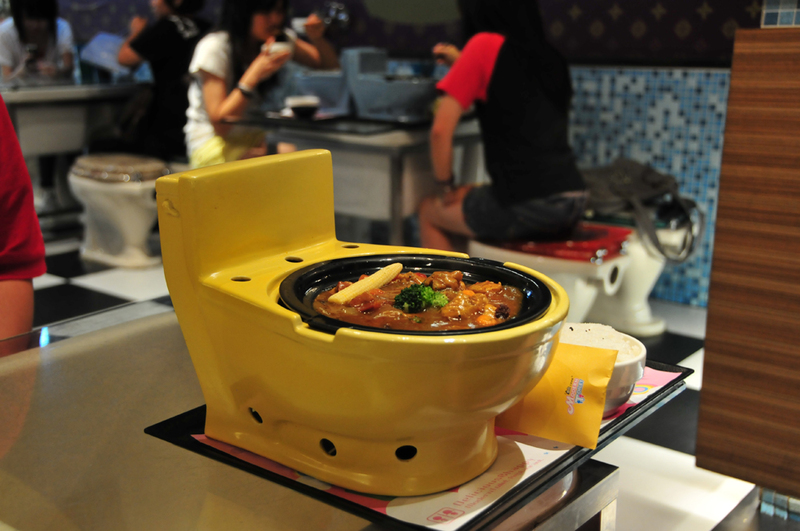 Customers can enjoy their noodle soup in decorated commode shaped bowls while sitting on one themselves! You must have experienced the many unusual dining experiences on the ground, but what about the air? What if you could float in the air with your friends and loved ones while sipping on expensive wine? 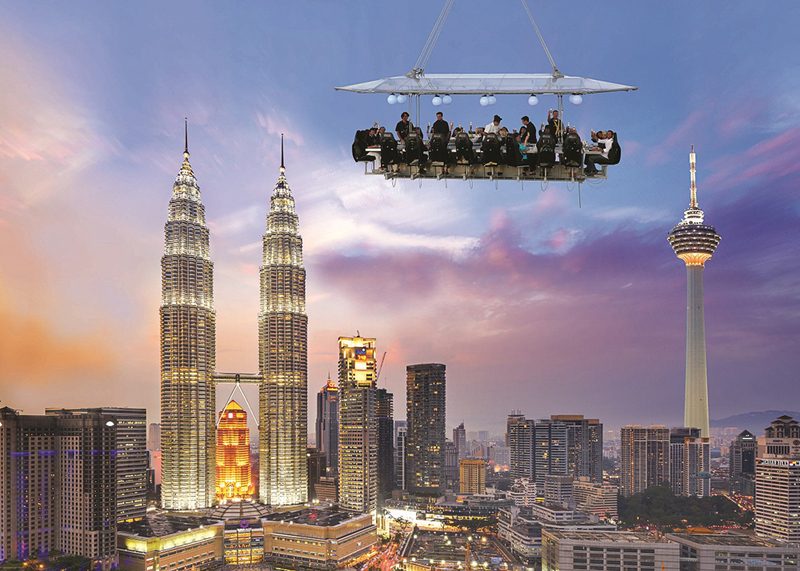 Sounds like a dream…well Dinner in the Sky makes this dream a reality. By spending $40,000 you and your 21 close friends or family members can have a once in a lifetime experience of dining 150 feet above the ground! And there’ more, you can choose any location you want. As long as there is a 500 meter square surface area to secure the restaurant it can provides its services almost anywhere in the world. The city of love Paris is famous for two things the Eiffel Tower and its wine. Known to be among the biggest suppliers on top quality wine, this city in France is every wine lover’s utopia. The Le Refuge des Fondus, a popular tourist attraction spot offers customers excellent and flavour rich wine in small sized bottles. Initially this was started as a way to evade the taxes charged by the French government. 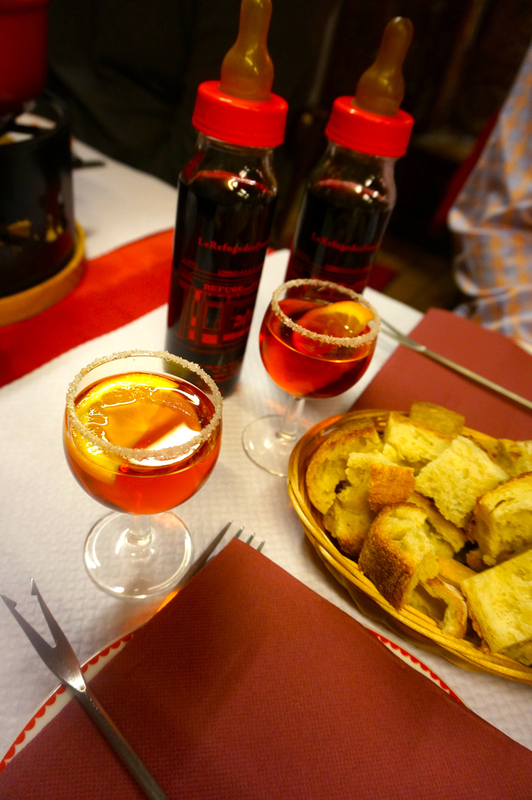 Other than wine the diners can even munch on delicious cheese and beef fondues that go wonderfully with the grape juice. Ever wished you were stranded on a beautiful island in the middle of nowhere, away from the din and chaos of the urban life? Well this place at Tanzania promises just that! 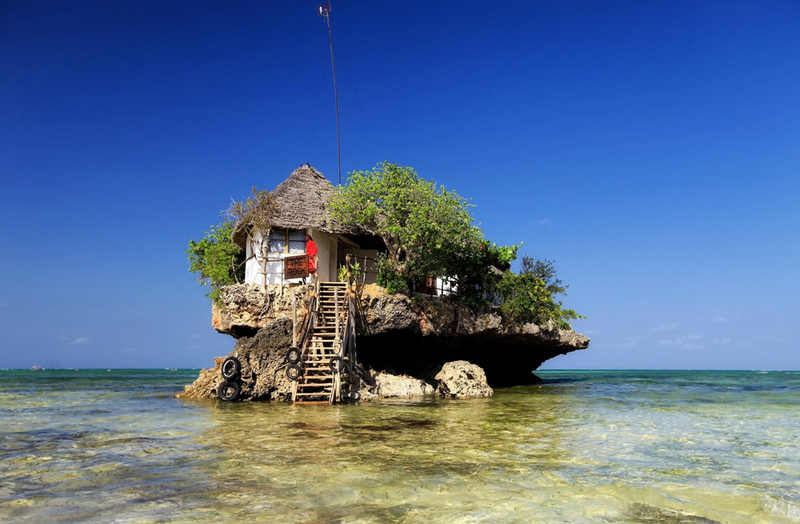 The Rock is an eating place at Zanzibar built on a single large rock and overlooks the spectacular Michanwi Pingwe beach. Experience the beauty of nature up close and lose yourself in the plethora of colours and sights! Customers can enjoy their scrumptious meals in the lap of nature. Unique, beautiful and magical, The Rock is one place you must visit if you’re ever at Zanzibar. Experience the flora and fauna of Koh Kood rainforests up close in this amazing dining experience. 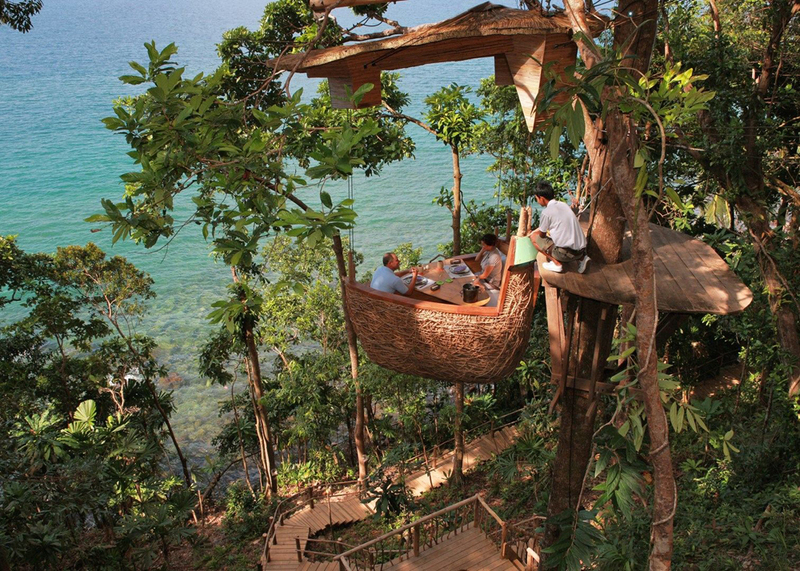 Soneva Kiri offers its customers a unique Treepod dining service where diners are hauled up in bamboo platform. With the magnificent tropical forests all around you, the entire experience feels like something straight out of an adventure movie! Overlooking the craggy rocks and boulders stranded along the shoreline and the wide sea, this place is nothing short of paradise. Also the wonderful acrobatic performances of the waiters as they serve an array of delicious local cuisines via a tight rope add on to the charm. Experience the thrilling and splendid tricks by ninjas who hide themselves in the shadow. 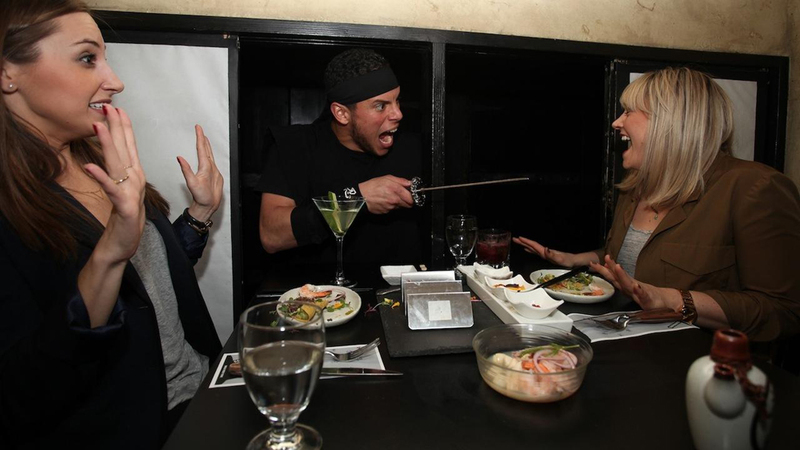 The Ninja restaurant at New York is famous for its ninja performers who impress the diners with their tricks and super cool moves. The dark and dingy décor of the place further enhances the theme and it feels as if you’re in an action packed ninja movie rather than eating at a restaurant! Known for its delicious sushi and other Japanese cuisines, the Ninja restaurant at New York gives you the authentic oriental experience. Although a bit heavy on your pocket, the top quality services and entertainment at Ninja is worth it. No, this place is nether bizarre, nor does it offer unconventional food to its customers; the Das Le Noir is known for its staff. The entire hotel staff and faculty at this place are visually impaired but that in no way affects their services. The founders and owners of the Das Le Noir Edouard de Broglie and Etienne Boisrond believe that dining is just not a visual experience; it tantalises and expands the other senses as well. This beautiful restaurant has its outlets in London, Paris and Moscow. 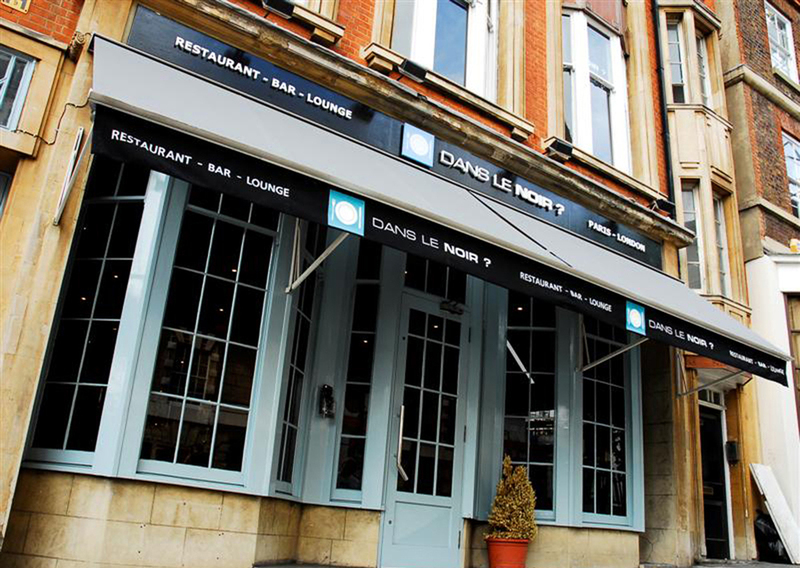 Top quality food and friendly staff, the Das Le Noir is a simple and comfy place for diners who want to have a good time. Imagine eating in a restaurant hundreds of meters above the ground, being on the top of the word looking down on creation! The Burj Khalifa at 442 meters above the ground is known to be the tallest building in the world. 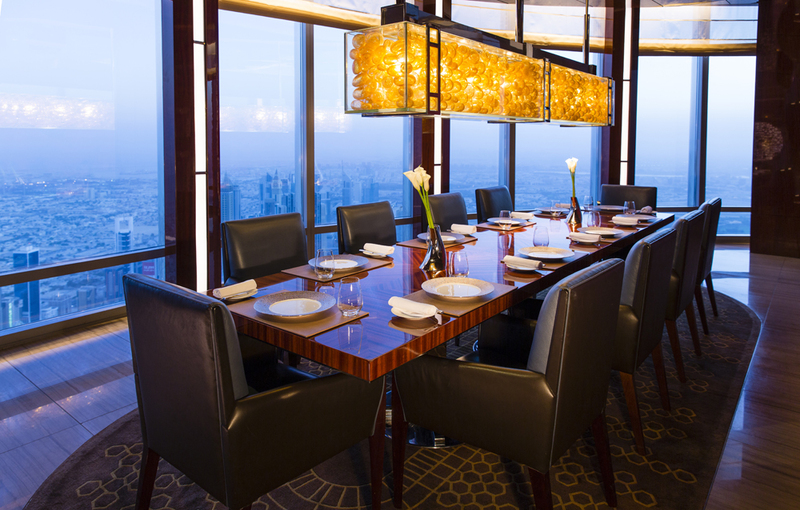 Atmosphere is situated 1030 meters above the sea level on the 122nd floor of Burj Khalifa. Declared by Guinness book of World Record as the “highest restaurant from ground level”, Atmosphere is aptly named, offering the diners a magnificent bird’s eye view of the entire city. The plush décor and scrumptious food make this place all the more desirable. Over the years the need for unconventional and innovative hotels has increased tenfold. Gone are the days when dining was all about good food, it has now expanded and ventured out into unknown arenas offering customers unique and sometimes weird experiences. The twelve restaurants mentioned above have come up with out of the box themes and ideas that offer customers so much more than just delicious cuisines and sophisticated décor. Break free from the boring and “normal” diners and restaurants and check out these bizarre places that have given a whole new meaning to the act of dining! Also recommend to check our other post: Top 20 Tallest Buildings in The World.